27th July 2016: Against the somewhat depressing news backdrop of recent weeks, we need a little magic in our lives now more than ever. It’s the perfect time, then, to return to J. K. Rowling’s wizarding world, built as it is on values of friendship, kindness, and hope, and the enduring power of love over the forces of darkness. 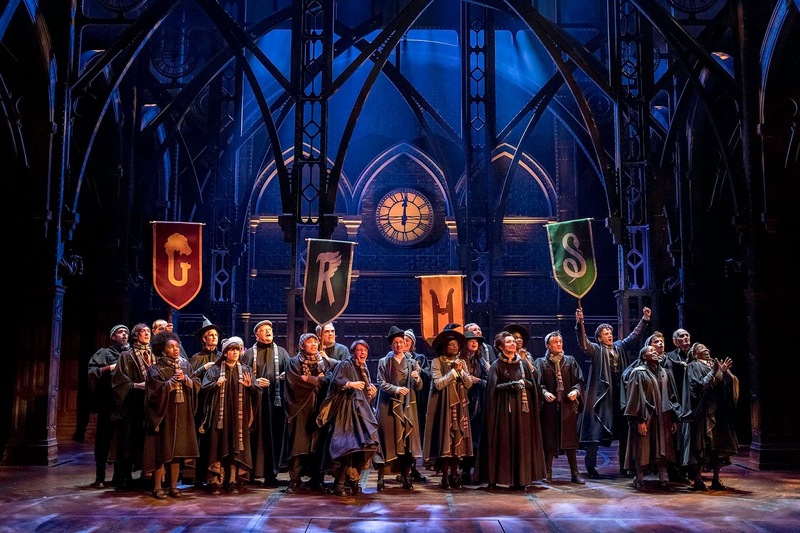 Harry Potter and the Cursed Child, the eighth instalment in the Potter canon, arrives at the Palace Theatre with a huge weight of expectation: the printed version of the script, released on 31st July, is already the most pre-ordered book in the US since 2007, and tickets for the show are almost entirely sold out until May 2017. It gives me enormous pleasure, then, to say that this show is every bit as brilliant as these early feverish indicators suggest. It’s difficult to write about, however, without giving too much away: as we leave the theatre we are given badges urging us to ‘keep the secrets’ and it’s perhaps best to know as little as possible about what’s in store for you before you go to see it. Safe to say, the plot picks up from the epilogue chapter of the seventh Harry Potter novel, ‘Nineteen Years Later’, and centres around Harry’s youngest son Albus heading off to Hogwarts for the first time. Amongst the awkwardnesses of being a teenager and the struggles of growing up with a famous father, there is darkness, magic, and time travel, as well as cameo appearances along the way from some much-loved Potter favourites. Up until now, you might be forgiven for struggling to imagine anyone else embodying these well-known characters in the ways that Daniel Radcliffe, Rupert Grint, and Emma Watson managed so effectively in the big-screen versions of the novels. But this production puts paid to those feelings almost immediately: from their easy camaraderie in the very first scene at Kings Cross Station, these actors strike at the very heart of Rowling’s much-loved characters, feeling both comfortingly familiar and yet helping you to see them afresh. Jamie Parker brings to the adult Harry passion, sensitivity, and an acute emotional depth that left the audience chuckling, gasping, and, at times, in tears: his exchange with a well-known companion on his continuing struggle with the trauma of living on whilst so many died for him is a heart-breaking and astonishingly powerful moment (to choose just one from many). 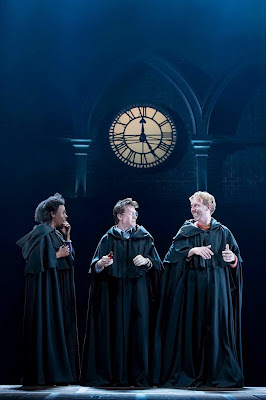 As Hermione, Noma Dumezweni effortlessly embodies the character’s keen, brisk intelligence and deeply compassionate heart, whilst Paul Thornley perfectly brings out Ron’s comic charm, shrewdness, and fierce sense of loyalty, not to mention delivering several of the production’s funniest lines. 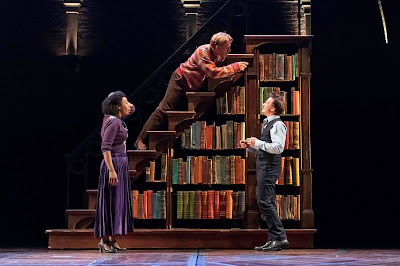 But in many ways the show belongs as much to its two young leads, Sam Clemmett and Anthony Boyle, who are outstanding in their respective roles as Albus Potter and Scorpius Malfoy, the next generation of the wizarding world. 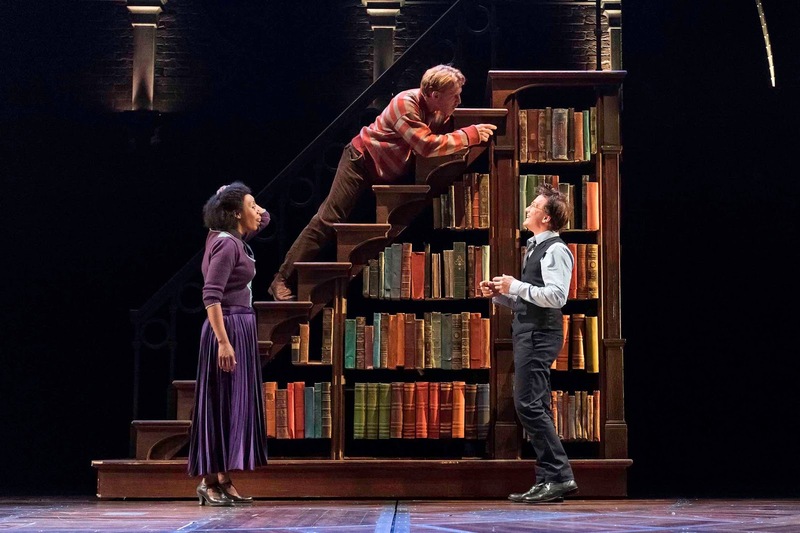 Indeed, Anthony Boyle almost steals the show entirely with his pitch-perfect delivery of the adorably geeky and awkward Scorpius, and no doubt has a bright theatrical future ahead of him. In addition to these fantastic performances and Jack Thorne’s nuanced and emotionally breath-taking script, the show is also truly spectacularly staged. 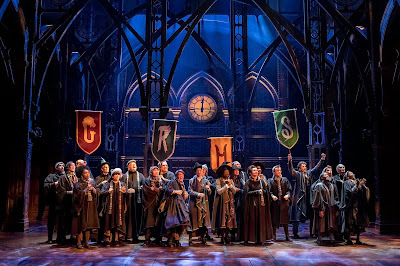 Arches roll back and forwards to represent railway stations, classrooms, and forests; staircases spin across the stage; characters fly through chimneys or entirely transform into other people; Dementors glide ethereally over the audience; and one astonishing scene is even staged underwater. The Palace Theatre makes the perfect location for these Victorian-style smoke-and-mirrors special effects: in amongst the turrets, towers, and shadowy corners, at times it felt as if real magic was happening before our eyes. Overall, this show left me speechless, breathless, and utterly spellbound - all adjectives that feel somewhat clichéd, but suggest the difficulty of articulating just how unlike every other theatrical experience this show is. As someone who grew up with the Harry Potter books, to see the story continued in such a moving and magical way was an incredibly affecting and deeply satisfying experience. But the emotional arcs of the narrative and the ‘how-did-they-do-that’ wonder of the show’s special effects mean there are endless amounts to enjoy here beyond the familiarity of old characters reimagined anew. Whether you’re an ardent Potterhead, then, or completely new to J. K. Rowling’s magical world, this is a theatrical experience like no other. Do whatever you can to get a ticket to this show – I promise you, you won’t regret it! A further 250,000 tickets will be released for sale next week on Thursday 4 August 2016 at 11am BST, booking through to 10 December 2017. Tickets are priced from £15 per part and for every performance there will be 300 tickets at £20 or less per part. A second set of access performances are also announced. On Wednesday 11 October 2017 both the matinee (Part One) and evening performance (Part Two) will be audio described and on Saturday 14 October 2017 the matinee (Part One) and evening performance (Part Two) will be captioned. Tickets for these performances will go on sale in March 2017. The regular performance schedule is as follows - Monday – no performance, Tuesday – no performance, Wednesday - 2pm Part One & 7.30pm Part Two, Thursday – 7.30pm Part One, Friday – 7.30pm Part Two, Saturday – 2pm Part One & 7.30pm Part Two, Sunday – 1pm Part One & 6.30pm Part Two.